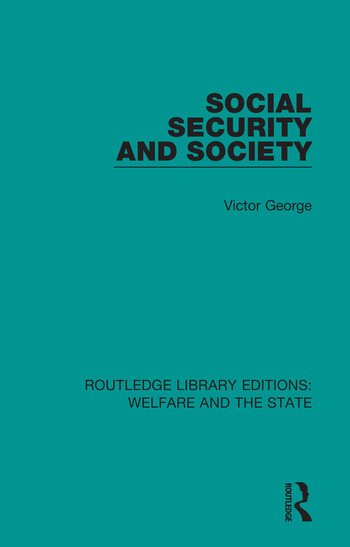 Originally published in 1973, Social Security and Society examines of the dominant forces that form the British social security system and argues that social security provision is not the result of concern felt by the dominant groups in society. Instead the book suggests that it is the result of the threat posed to the status quo by the growing political power of the working class, and the realization by the dominant groups, that social security benefits are functional to economic growth and political stability. The book covers poverty, low pay, unemployment and equality, and demonstrates how social security measures reflect and reinforce the inequalities of the economic and social system – inequalities which are accepted, legitimised and approved by society.